I was lying around yesterday being lazy, just thinking about how it was going to be January 1 tomorrow (now today! ), and on January 1 two things were going to happen: a) we needed to figure out a new theme for a new month, and b) Friends was going to be on Netflix. 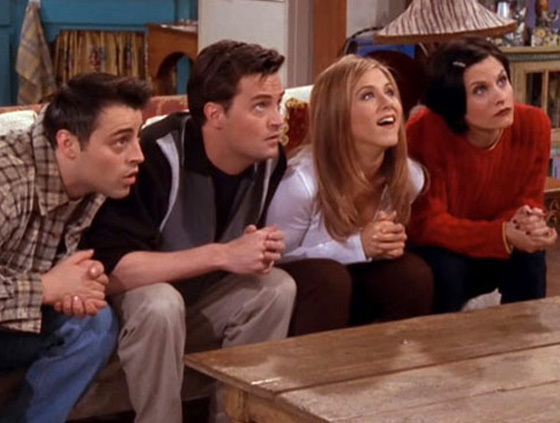 The best thing about Friends is obviously the ensemble-ness of the cast. And there are tons of other awesome ensembles out there in the book world. but oh so much better together. Ah yes, I can smell the anticipation. Oh, and PS, this month we’ll be linking to The Flying Pig Bookstore in Shelburne, Vermont. Hurrah! This entry was posted in January 2015 and tagged ensemble, friends, intro posts, January 2015, The Flying Pig Bookstore. Bookmark the permalink.